This entry was posted in Geneacruising, Travel and tagged Geneacruising, packing, travel, Unlock the Past by cassmob. Bookmark the permalink. That looks like a wonderful list for a geneacruise! Don’t forget to warm up your learning and laughing muscles since Thomas MacEntee, will be the keynote speakers. Bon Voyage! Thanks Diane, for a moment there I was worried that you were telling me to warm up my non-computer muscles. Whew! Laughing muscles sounds like fun. What’s a gym?? 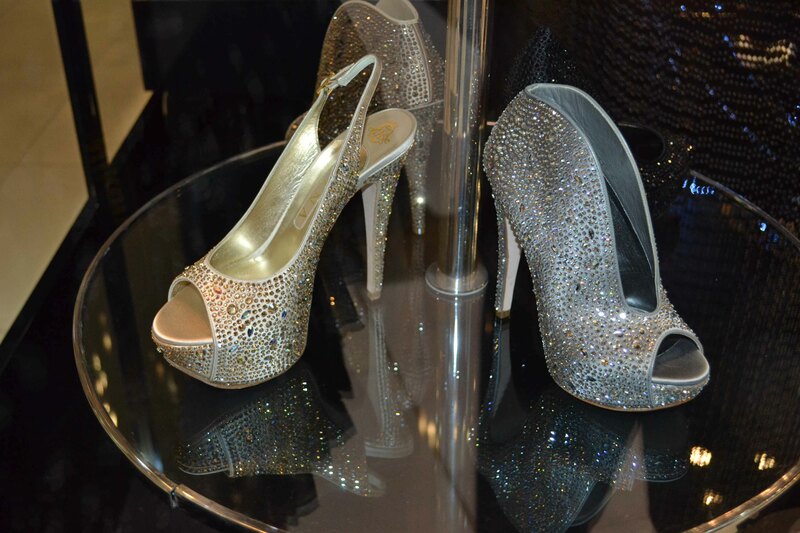 I photographed the shoes in Dubai -can’t imagine wearing anything that high any more!! Love the focus on tech toys. Way to go. Tech toys +10…clothes, not so much…though I do have a little “sparkle” for formal nights. Packing? What’s that? Six days to go and I haven’t even found the suitcases yet! Presentation – well, at least I have started that, but geez, its got a long way to go. When’s my gig? Sunday? Heck, that’s almost a whole extra week of preparation time yet. She’ll be right on the night, err, day. Checklist? Yep, gotta do that to. Yes, we will be there – be prepared to be amazed! What’s the rush Geoff 😉 Ready and willing to be amazed by your gig. Sometimes it seems we could all do with that book, Diane, except perhaps Jill aka Geniaus who’s the gadget guru. Good luck with the packing! That’s an impressive list of gadgets. Remember the days when we just used a notebook and camera? Just not enough room to take everything. Okay throw half of the clothes out and then start again.